After reviewing hundreds of house plans on the web and considering many design companies, we selected Weber Design Group to create our dream home for retirement. We're so glad we made that decision...they are wonderful people to work with! By working with the Weber team to modify an existing stock plan that we selected, Rob Mongillo created an amazing design for us. Rob was very patient in listening to our ideas and provided excellent advice / suggestions when needed. He was able to make changes to the plan to meet our needs and fit the home perfectly on our lot (which was not an easy task). Everyone we dealt with (including Kerry, Rob, Brenda, etc.) were very professional and a real pleasure to deal with. We highly recommend Weber Design Group. You won't be disappointed! Rob Mongillo with Weber Design Group modified an existing stock plan to create the home of our dreams. He was very meticulous, thoughtful, and creative. He listened to our ideas and designed a beautiful home. The existing plan had many interesting architectural features that make the home unique. We are very happy that we decided to use this company. 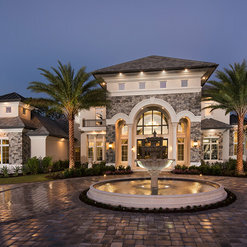 Weber Design Group designed the house of our dreams. After looking at thousands of plans online and not finding anything remotely suitable, we came across a plan of theirs online that was the best we could find without going full custom. We took that existing plan and Ron worked with us on tweaking it to our liking. Some of the "tweaks" were pretty major (like changing the ceiling heights) which impacted the entire design and they worked through the issues with no real world issues coming up later during the build that were related to the architectural plans. They were very willing to work with us through all the challenges that come up along the way. We are very happy with the outcome. I would give them 4.5 out of 5 stars. The only reason I hold back on a 5 star recommendation is that there were a few very minor things that I had to re-iterate a few times before it ended up on the plan, and one complicated thing I wanted on the plan that I gave up on with them because either they couldn't understand what I wanted, or I did a bad job of communicating what I wanted. I ended up drawing it up by hand. That said, they handled my hundreds of other changes without issue. The last thing that places them just shy of perfection is that they understandably tend to nickel and dime you on change orders beyond what they initially agreed to. I did change my mind several times along the way so maybe it was their way of discouraging changes. Thank you for the nice review. It was a pleasure working with you. We wish you all the best with your new home and please know we're always here if you need us! We have used Weber Design Group for our past 6 homes and they have been nothing short of incredible (both the homes and working with Weber). Weber was able to maximize our lot and water views with every home so that almost every room in the house had a view. They also had no problem designing different exteriors, from traditional to modern to southern style. We have always been impressed by their professionalism and ability to work on plans in a timely manner. We will be loyal customers for the rest of our lives and highly recommend others to use them as well! Thank you so much Jamie for your kind words!!! We have really enjoyed working with you and seeing the execution of our designs. You are an amazing builder and we appreciate working with you as well!! 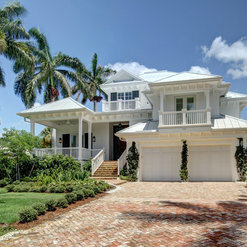 We recently worked with Weber Design Group to design a home on Marco Island. They were great to work with. Bill and his team were very thoughtful with the design. They were able to listen and understand our vision and then execute a fabulous home plan with the style and detail we were hoping for. Thank you for the review! It was a pleasure working with Stonebreaker Builders! Thank you for the great review Kim! It was our pleasure working with you on such a unique home design! 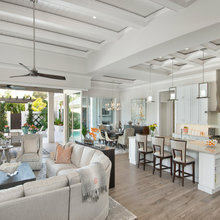 Weber Design Group was a pleasure to work with and we love the home they've designed for us. 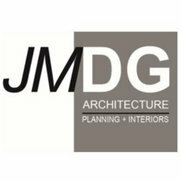 They are creative, knowledgeable, timely, friendly and I'd highly recommend them to anyone designing and building a home. Thank you so much for the kind review! It was certainly a pleasure working with you, we can't wait to see the final product! 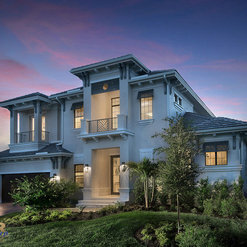 Weber Design Group and their Naples-based team creates some of the most distinctive home designs, making them one of the most sought after architecture and planning firms in South Florida. Over the years, we’ve had the pleasure of bringing several Weber homes to life and the final product has always exceeded our client’s expectations. 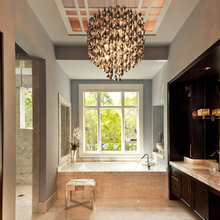 We highly recommend Weber Design Group to anyone looking for a professional, creative architectural team. We look forward to many more successful projects together. Thank you for the great review BCBE, it's always a pleasure working with you all! 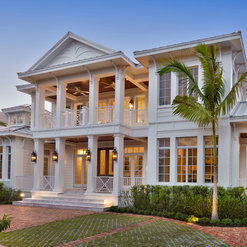 In 2015, Weber Design did architectural design work for me in Naples, Florida. Their work product was outstanding. What impressed me besides the excellence of their final product was their ability to listen to their customer. They are problem solvers. Creative but functional. Very competitive pricing and, best of all, they are very nice people. My experience was a complete pleasure and I am glad to write this review. If I could I would give them six stars I would. Thank you so much for this wonderful review! It was our pleasure to work with you, we would give you six stars too!! So glad you're as happy with the final product as we are, it is a true beauty! After purchasing a lot in Old Naples we searched for a builder and design firm to help us create a Universal home for the future. Jeff canada with Grand Bay Corporation referred us to Weber Design Group. Bill Weber and Travis Hite listened thoughtfully to our ideas and needs. They understood the concept of a home that allows couples to age in place. The combination of their creativity and understanding made the design process very enjoyable. We would highly recommend Weber Design Group. Thank you so much Rhea! It has been a pleasure working with you both, we can't wait to see the finished product! We are a building contractor who engaged Weber Design Group to design a home for our clients. Our clients had many specific requirements, Bill, Rob and the team worked with us as the design evolved and the solution was a distinctive 6,700 sq ft zero net energy home now under construction. Photos will be available when we are finished. We would wholeheartedly recommend Weber Design Group for creativity, flexibility and attention to detail---but, more importantly, they are great folks to work with. Thank you for the great review Bob! It was a pleasure working with you, we can't wait to see the final product! We interviewed several architects before selecting Weber Design Group. They transformed our initial ideas and desires into preliminary concepts, and then to the final structural drawings that optimized the views from our golf course lot. They were open and listened to all of our requirements, were cost conscious, and very responsive. I can and do recomend them highly. You could simply not find a better or more professional firm. Thank you so much for the kind words Chuck! We're honored you chose our firm. It was such a pleasure working with you both! Commented: love the paint colorsWe were the architects on this home and were not involved in the interior selections. Commented: what is the color on the walls? ThanskThank you for reaching out to us. We were the architects for this home and were not involved in the interior sections and/or paint colors. Commented: Merry Christmas! From your Beasley &amp;...Merry Christmas to you!